Though particle-physics questions account for many unsolved problems, some mysteries can be observed on a bench-top lab setup. Sonoluminescence is one of those. If you take some water and hit it with sound waves, bubbles will form. Those bubbles are low-pressure regions surrounded by high pressure; the outer pressure pushes in on the lower-pressure air, and the bubbles quickly collapse. When those bubbles collapse, they emit light, in flashes that last trillionths of a second. The problem is, it’s far from clear what the source of the light is. Theories range from tiny nuclear fusion reactions to some type of electrical discharge, or even compression heating of the gases inside the bubbles. Physicists have measured high temperatures inside these bubbles, on the order of tens of thousands of degrees Fahrenheit, and taken numerous pictures of the light they produce. But there’s no good explanation of how sound waves create these lights in a bubble. I have to say sonoluminescence isn’t my kind of thing. I deal in fundamental physics, and this isn’t it. Whilst it’s an interesting phenomenon with potential applications, it feels like sonoluminescence just isn’t in the same league as the other mysteries. It also feels like sonoluminescence is a cousin of triboluminescence. The latter is classed as materials science, and current theory says it’s to do with charge separation, followed by an electrical discharge. A spark, as it were. It’s fairly common, being exhibited when unpeeling Scotch tape or crushing sugar. 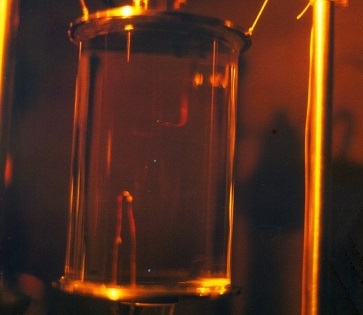 One of the proposed mechanisms for sonoluminescence is somewhat similar, involving ionization and bremsstrahlung radiation. Since I don’t light up the room when I pour myself a beer, that’s good enough for me. What lies beyond the Standard Model? The Standard Model is one of the most successful physical theories ever devised. It’s been standing up to experiments to test it for four decades, and new experiments keep showing that it is correct. 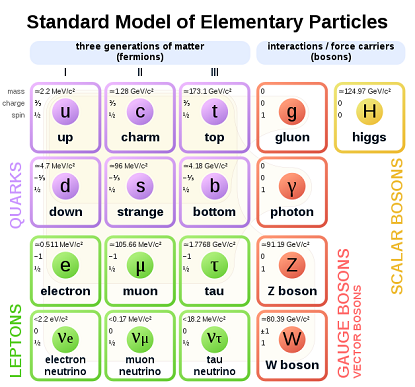 The Standard Model describes the behavior of the particles that make up everything around us, as well as explaining why, for example, particles have mass. In fact, the discovery of the Higgs boson — a particle that gives matter its mass — in 2012 was a historic milestone because it confirmed the long-standing prediction of its existence. But the Standard Model doesn’t explain everything. The Standard Model has made many successful predictions — for example, the Higgs boson, the W and Z boson (which mediate the weak interactions that govern radioactivity), and quarks among them — so it is difficult to see where physics might go beyond it. That said, most physicists agree that the Standard Model is not complete. There are several contenders for new, more complete models — string theory is one such model — but so far, none of these have been conclusively verified by experiments. What lies beyond the Standard Model? Nothing. Because it’s dripping with errors and omissions. It doesn’t tell you what a photon is, or how pair production works. Instead it tells you an electron is a point particle when it isn’t, and that it’s an excitation of the electron field when it isn’t. It doesn’t tell you what happens in electron capture, or what charge is, or how electromagnetism works. Instead it’s full of lies to children about messenger particles that don’t exist. It’s said to be “one of the most successful physical theories ever devised”, but we’ve never actually seen a quark or a gluon. Or a W-boson, or a Z boson, or a Higgs boson. The existence of these things has been inferred from decay products or less. The Higgs boson “discovery” was just a bump on a graph. No, “the Standard Model doesn’t explain everything”, because it doesn’t explain anything. It doesn’t explain how the nuclear force works, or how gravity works, and it doesn’t even explain how a magnet works. Or what energy is. Its predictions are said to be successful, but you’ve never seen a quark or a gluon, or any particle with a lifetime of 10ˉ²⁵ seconds. Instead you’ve seen Carlo Rubbia and the discovery of the W and Z by Gary Taubes, who tells how Rubbia sold the “discovery” of the W boson to a willing audience at CERN. Rubbia got a standing ovation, even though what had actually been observed was a high-energy electron. Yes, it’s “difficult to see where physics might go beyond it” because particle physicists have painted themselves into a corner with the Standard Model. They cannot admit that there’s anything dubious about any of their “discoveries” that have been set in stone by Nobel prizes. Hence fundamental physics has been stuck in an impasse for forty years. Yes, perhaps “most physicists agree that the Standard Model is not complete”, but they will not admit to its faults. So they can’t pick the low-hanging fruit that could get physics out of a hole. Instead they can’t stop digging, and they can’t even admit that the low hanging fruit is there. They can not see that the Standard Model is going nowhere, and that we need to scrap it and start again. Dimensionless constants are numbers that don’t have units attached to them. The speed of light, for example, is a fundamental constant measured in units of meters per second (or 186,282 miles per second). Unlike the speed of light, dimensionless constants have no units and they can be measured, but they can’t be derived from theories, whereas constants like the speed of light can be. For example, the fine structure constant, usually written as alpha, governs the strength of magnetic interactions. It is about 0.007297. What makes this number odd is that if it were any different, stable matter wouldn’t exist. Another is the ratio of the masses of many fundamental particles, such as electrons and quarks, to the Planck mass (which is 1.22 x 1019 GeV/c2). Physicists would love to figure out why those particular numbers have the values they do, because if they were very different, the universe’s physical laws wouldn’t allow for humans to be here. And yet there’s still no compelling theoretical explanation for why they have those values. Mass ratios are interesting though. I think Andrew Worsley is on to something. He’s a medical doctor with a deep interest in physics, and he’s come up with some very interesting expressions. Imagine the speed of light c was dimensionless. Then take a look at c½ / 3π = 1837.127 and c⅓ / π = 213.037. Have you seen numbers like that before? Some people dismiss this sort of thing as mere numerology, but I don’t. That’s because I think of William Kingdon Clifford’s space theory of matter. That’s where he talked of waves in space and said “nothing else takes place”. Mass ratios must surely be related to some kind of spherical or toroidal harmonics where all components of wave motion mesh like gears. Especially since the Planck length is √(ħG/c³). Replace the √(ħG) with 4πn, where n has the correct dimensionality but a value of 1. Then get your calculator out: 4πn / c1½ = 2.42 × 10-12 m. Seen that before? As to how derive precise g-factor-compliant numbers in a rock-solid fashion, that’s one for a rainy day. What the heck is gravity, anyway? What is gravity, anyway? Other forces are mediated by particles. Electromagnetism, for example, is the exchange of photons. The weak nuclear force is carried by W and Z bosons, and gluons carry the strong nuclear force that holds atomic nuclei together. McNees said all of the other forces can be quantized, meaning they could be expressed as individual particles and have noncontinuous values. Gravity doesn’t seem to be like that. Most physical theories say it should be carried by a hypothetical massless particle called a graviton. The problem is, nobody has found gravitons yet, and it’s not clear that any particle detector that could be built could see them, because if gravitons interact with matter, they do it very, very rarely — so seldom that they’d be invisible against the background noise. It isn’t even clear that gravitons are massless, though if they have a mass at all, it’s very, very small — smaller than that of neutrinos, which are among the lightest particles known. String theory posits that gravitons (and other particles) are closed loops of energy, but the mathematical work hasn’t yielded much insight so far. Because gravitons haven’t been observed yet, gravity has resisted attempts to understand it in the way we understand other forces – as an exchange of particles. Some physicists, notably Theodor Kaluza and Oskar Klein, posited that gravity may be operating as a particle in extra dimensions beyond the three of space (length, width, and height) and one of time (duration)we are familiar with, but whether that is true is still unknown. Other forces are not mediated by particles. See the peculiar notion of exchange forces part I and part II by Cathryn Carson. The exchange-particle idea worked its way into QED from the mid-1930s, even though Heisenberg used a neutron model that was later retracted. Electromagnetism is not the exchange of photons. Electrons and positrons move the way that they do because of the screw nature of electromagnetism. Because the electromagnetic field is not unlike the frame-dragged gravitomagnetic field. And because the electron is a dynamical “spinor”. So is the positron, albeit with the opposite chirality. They don’t throw photons back and forth. Hydrogen atoms don’t twinkle. Magnets don’t shine. The exchange particles of QED only exist in the mathematics of the model. They are virtual. As in not real. So are the gluons in ordinary hadrons. 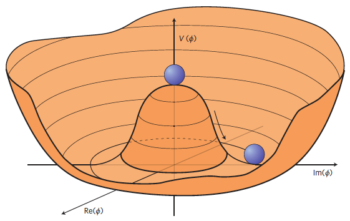 As for W and Z bosons, do you seriously believe that a 939 MeV neutron decays because an 80 GeV W boson pops out of a quark, then decays into an electron and an antineutrino with a combined mass-energy of circa 1 MeV? So quickly that you can’t actually see the W boson? It’s a fairy tale. In similar vein there are no gravitons flying around the room you’re in. Nobody has found a graviton yet, and they never ever will, because quantum gravity is a castle in the air. It has no foundations. Gravity has resisted attempts to understand it “in the way we understand other forces” because you don’t understand other forces. Do we live in a false vacuum? The universe seems relatively stable. After all, it’s been around for about 13.8 billion years. But what if the whole thing were a massive accident? It all starts with the Higgs and the universe’s vacuum. Vacuum, or empty space, should be the lowest possible energy state, because there’s nothing in it. 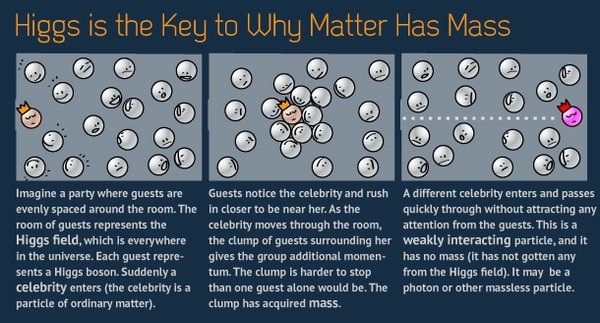 Meanwhile, the Higgs boson — via the so-called Higgs field — gives everything its mass. Writing in the journal Physics, Alexander Kusenko, a professor of physics and astronomy at the University of California, Los Angeles, said the energy state of the vacuum can be calculated from the potential energy of the Higgs field and the masses of the Higgs and top quark (a fundamental particle). 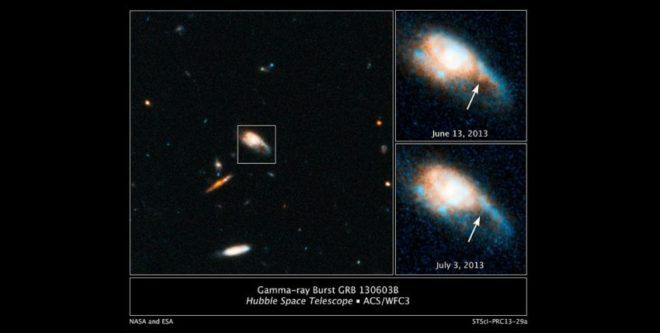 That sounds scary, but given that the universe is still here, clearly there hasn’t been such an event yet, and astronomers have seen gamma-ray bursts, supernovas, and quasars, all of which are pretty energetic. So it’s probably unlikely enough that we wouldn’t need to worry. That said, the idea of a false vacuum means that our universe might have popped into existence in just that way, when a previous universe’s false vacuum was knocked into a lower energy state. Perhaps we were the result of an accident with a particle accelerator. So no, the energy state of the vacuum can’t be calculated from the potential energy of the Higgs field and the masses of the Higgs and top quark. That’s phooey. And of course the universe’s vacuum isn’t in the lowest possible energy state. If it was, it wouldn’t be expanding. But yes, I suppose it could change due to some event. The fate of the universe might be the Big Rip. But claiming bubble nucleation would occur is a stretch. That’s inflation talk, and I’m afraid to say that when you dig into inflation, you find it’s a solution to problems that do not exist. Not only that, but Guth’s model didn’t work, because it had bubbles forming in a supercooled environment, which is the exact opposite of boiling. It was all downhill from there, hence it degenerated into multiverse pseudoscience. But OK, maybe the Big Bang was the result of an accident with a particle accelerator. I can’t prove it wasn’t. But hey, best not build that new collider then. It’s a waste of money anyway. I agree with Sabine Hossenfelder on this. I’m probably the only one who agrees with her, and then some. Because I think it’s worse than a waste of money. Because it props up bad science that stands in the way of scientific progress.